SHARMINI PERIES: It’s The Real News Network. I’m Sharmini Peries coming to you from Baltimore. Italy is gearing up for an election on March 4th. Most observers predict that it will end in a hung parliament. Luigi Di Maio of the Five Star Movement is leading in the polls at the moment as far as a single party is concerned. 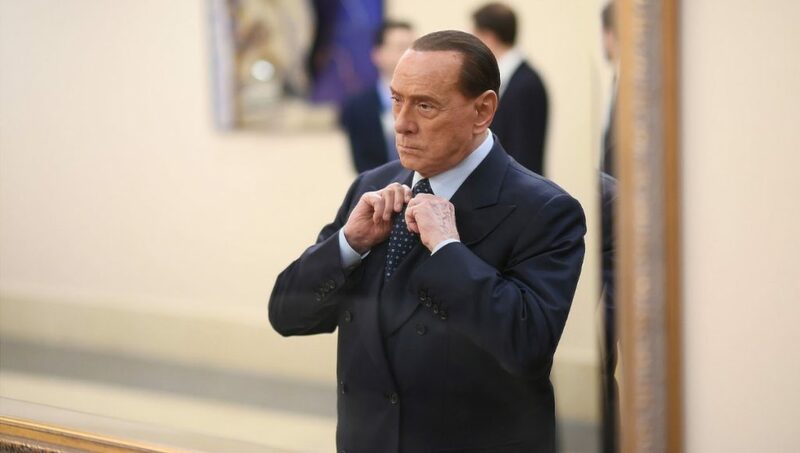 But the right wing parties have formed a coalition led by former Prime Minister Silvio Berlusconi, which includes his own party, Forza Italia. Former Prime Minister Silvio Berlusconi is banned from running for the presidency because of his tax fraud convictions, but he continues to play a major public role in Italian politics. About 30 to 40 percent of the public is still undecided, which means that final results of this election is very much undecided. To discuss all of this with me, I am joined by Raffaele Laudani. He is Professor of History of Political Thought at the University of Bologna, Italy, and Director of the Academy of Global Humanities and Critical Theory. I thank you so much for joining us, Raffaele. SHARMINI PERIES: So Raffaele, let’s start with who are the leading contenders and how are they doing in the polls? And what possible scenarios are there in terms of who might win? RAFFAELE LAUDANI: Okay, so the first things to know is that the Italian system has always have several parties participating at the election, and this will be the case also in this election. So actually, we have the new electoral system helps formalize the formation of coalition of different parties. So, we have a rightist coalition made up of Forza Italia, Silvio Berlusconi’s party, the North League, the political party that is supportive of, the one with more xenophobia against migrations, immigrants, and against also the European Union, and then you have Fratelli d’Italia, that is the post-fascist party. That’s the first coalition. Then on the other hand, you have another coalition leaded by the Democratic Party of former Prime Minister Renzi with three other very small parties, the most famous one is the one leaded by Emma Bonino, former European Commissioner. Then at the left of the Democratic Party coalition, we have another coalition that is made up of those people that left the Democratic Party…with Renzi and the so-called Sinistra Italiana, Italian Left. So they created a new group that is called Liberi e Uguali, Free and Equal. And then there is another coalition, which is called Potere al Popolo, which is some way at the left of Liberi e Uguali, with some other small groups. Then there is another poll, which is the third poll and probably the one what’s gonna have the majority of votes at the election, which is the Five Star Movement. So, actually they are not a coalition, they are a single movement and it’s the movement that is now leaded by Luigi Di Maio but founded and some way identified with the actor, Beppe Grillo. So, the scenario is still uncertain, but it seems at the moment that the Five Star could be at the end of the election the first political party actually. This was the case also in the last national elections, but with the percentage that will not give them the opportunity to govern the country alone. So they will be, if they want to govern, see if they to be at the government and have the majority in parliament then they have to create, find an agreement with other parties. And we don’t really know if they’re willing to do that or not. In the past, they didn’t want to do that. So, then the most probable scenario is a situation of instability without a solid majority in parliament, with the consequences of stimulating the creation of a alliance between the right Coalition and the center-left coalition, so between Berlusconi and Renzi to make it clear in a way which is somewhat closer to the model of the Great Coalition in Germany. SHARMINI PERIES: Raffaele, what’s of course surprising to all of us if you are outside looking into Italy is that Berlusconi has somehow managed to make a comeback. He recently made a statement this week that if his party is elected, it will deport 600,000 migrants. Is the public opinion in Italy so anti-refugee and xenophobic that such populist statements can actually make Forza Italia stronger? RAFFAELE LAUDANI: Okay. So, one thing we have to keep in mind when we think about politics in Italy is that actually in at least the last 50, 60, maybe even 70 years, the majority of the people have always been moderate, moving from the center to the right. Even when we had center-leftist government, then this was the consequences of division among the rightist party. So, at any time, especially from the Berlusconi age, the rightist coalition went to the election united, they won the election. So, actually we didn’t have really structural changes to this situation. Some way we could think that actually we could have a rightist coalition of the government governing Italy with a majority but without Berlusconi. But when Berlusconi was really in trouble, the center-leftist government didn’t really push the situation to put him definitely out of the political scenario. So, in a situation of weakness or structural weakness and uncertainty, he has found again, a way to play a key role in the election. This is especially because the rightist coalition could not win the election without Forza Italia, without Berlusconi. This has given him a role, and the same was true also for Renzi. I mean, without the indirect support in the parliament of Forza Italia, Renzi would not be able to be prime minister. So, there is some kind of ties linking the two coalitions for several years in Italy. So, this probable scenario of a great coalition actually it’s not really new or something that would surprise us. SHARMINI PERIES: Here’s to demonstrate Berlusconi’s comeback, he’s actually speaking on behalf of the party in what appears to be a campaign ad. Let’s have a look. SILVIO BERLUSCONI: (Translator): I am here to remind you that voting is very easy. You have to make a cross on the symbol of Forza Italia, naturally. Only on the symbol. In this way, you will have voted for our candidates and there will not be any possibility of a dispute over your vote. Remember then, make a cross on the symbol of Forza Italia, and naturally, get all of those who you know to make the cross as well. SHARMINI PERIES: I suppose the question here is how did Silvio Berlusconi rehabilitate himself from his image as a corrupt, authoritarian, populist politician carried by his money and his ownership of the media and so forth, and now present himself as an elder responsible states person asking people to come out and indicate their popular will by voting? RAFFAELE LAUDANI: In this case, I think that part of the responsibility is also the Five Star Movement and in general of populist critique of the political class in Italy so the fact that little by little, it emerged as common sense the fact that all politicians are all the same, they are all corrupt. In this sense, there’s no real significant difference between Berlusconi and other politicians. So, then this means that if they are all corrupted, then we can get also Berlusconi. This is part of the cultural hegemony that populist politics has gained in Italy and now is identified with the political slogans of the Five Star Movement. But let me go back for a moment to your previous questions on the fact if this anti-refugee, anti-migrants mentality is now dominant in Italy. Yes it is, unfortunately, and here again this depends, of course, on the rightist politics and rightist politicians, but most of all of the politics of the center-leftist government of the last few years that being very reluctant to assume a politics of openness towards refugees and migrants has some way contributing in affirming the idea that actually migrants and refugees are the problem. So, in the last analysis, when you have to choose between a left party that is acting, presumed to be left but is acting as a rightist party, and then you have a real rightist party. So, if you have to choose between a fake right and the original right, then at some point you decide to go directly for the right. So, now this is the situation. We have two rightist parties, actually, and their politics is the same towards refugees and migrants. There are no significant differences and if now the spread common opinion is that refugees and migrants are the problem, then I prefer a rightist government because they will go directly against the problem. 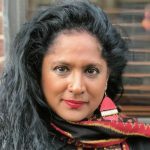 SHARMINI PERIES: And very much like what is happening here with the Trump administration. Now, let’s look at the left. Who is the candidates on the left? And how unified is the left going to be in this coming election? RAFFAELE LAUDANI: Very complicated question because in principle, we have a big center-left coalition leaded by the Democratic Party that pretends to be on the left side of the parliament, but then he is acting and acted in the last few years as nearly broke political party as any other rightist party in Europe. So, actually formally it is a leftist party, but in my opinion, there is no longer anything that could be identified as leftist in their party and in their policies. So, then actually I would not consider them as part of the left. So, and the same is true also for the Five Stars. Well, in principle, part of their programs and strategies goes on the left and part of the base of militants has a path in militancy in the left. But actually, if we look concretely to their political programs in terms of economics, in terms of politics toward refugees, migrants, towards Europe, they have the same politics, they propose the same solutions of the rightist parties. And actually they are one of the main factors for the affirmation of the rising xenophobia that is now one of the main issues in Italy today. So, in this case, too, I don’t consider them as leftist. So, what remains? It remains two small parties. Liberi e Uguali that is supposed to stay, polls say that it could be between four percent, seven percent in the best case. So, actually, that it’s not in the conditions of being really an issue. Then we have another leftist party, which is Potere al Popolo, which we don’t know, I mean, they’re doing well during the electoral campaigns, so maybe there is a chance they will have four percent in order to have representative in parliament, but that’s not for sure at all. And Potere al Popolo and Liberi e Uguali are not united at all. So, actually they have two different strategies. And then we have three more leftist parties, very, very small, they will not get much votes, but they go independently along. So, actually in terms of elections and institutional politics, one of the main issues is the fact that the leftist parties are small, they are marginal, and they are divided. But for me, the most important problem and difficult from a leftist perspective is the very weak situation of social movements we have today in Italy. Especially because in the last few years the Five Star Movement was able to some way concentrate and channelize protest in a populist way we didn’t have in Italy movements like…in Spain or Syriza in Greece. Even if we have very complicated social and economic situation, so that at the moment, social movements are politically ineffective, and that’s the main problem we are facing in Italy today from a leftist perspective. SHARMINI PERIES: All right, Raffaele, lastly, give us a sense of what the conflict between Berlusconi and Matteo Salvini is. RAFFAELE LAUDANI: Well, it’s a conflict of leadership. So, actually the real electoral competition if my scenario is possible so the fact that at the end of the election we will have a great coalition depends on who’s gonna get more votes. So, if the rightist coalition will be able to create a majority, then the issue will be who received more votes between the North League and the Forza Italia, because this will express the prime minister. So, Salvini is pretending to achieve the leading role that Berlusconi has played so far in the rightist coalition. And Berlusconi, of course, wants to be still the leader, even if he is not able to be the prime minister. Because he will choose, he will decide the prime minister if Forza Italia is the first political party among the rightist ones. On the contrary, if the rightist coalition is not able to get a majority on their own and so they are forced to create a coalition with the Democratic Party, in this case, Salvini will be out of the government, out of the majority. So, then Salvini and Berlusconi needs to go together to the election, but actually, they are in competition. SHARMINI PERIES: All right, Raffaele. It looks like it’s going to be an interesting election on March 4th. I hope to have you back to discuss it at that time. I thank you so much for joining us again. RAFFAELE LAUDANI: With pleasure. Thank you for calling me.